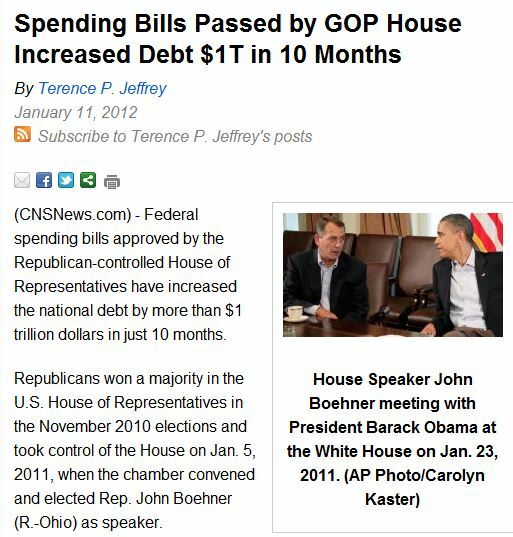 GOP UNDER JOHN BOEHNER RAISE DEBT ONE MORE TRILLION IN JUST 10 MONTHS……. – The Tundra Tabloids……. GOP UNDER JOHN BOEHNER RAISE DEBT ONE MORE TRILLION IN JUST 10 MONTHS……. Previous Post Previous Post WESTERN CATHOLIC BISHOPS LABEL GAZA A PRISON……. Next Post Next Post EUROPEAN COURT OF ANTI-HUMAN RIGHTS CRUSHING UK, WINS 3 OUT OF 4 CASES AGAINST IT……..
Keep voting them out until somebody listens.